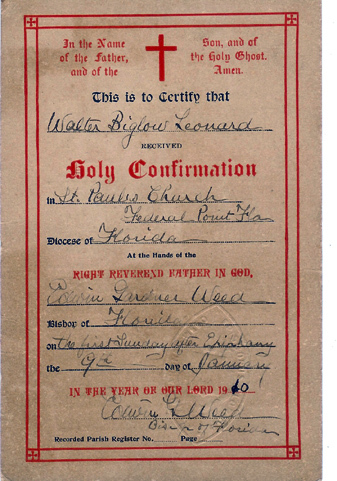 Walter Biglow Leonard and Josephine Emma Margaret Vanderlip were married in St. Pauls Church in Federal Point on September 26, 1912. 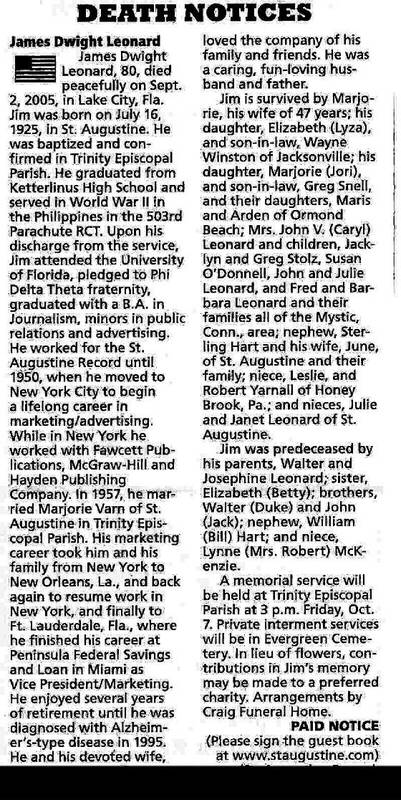 Walter was the son of Geoprge W. Leonard of NY. He was born c. 1843. He died July 1, 1919 in St. Augustine. He was a Veteran of the Union Army duruing the Civil War. Walter Biglow Leonard was born in New York on September 26, 1872. He first appeared in Hastings, Florida in the 1910 Federal Census listed as a boarder in the James W. Brine household. He was employed as a farm manager, age 35, born in NY. Josephine Emma Margaret Vanderlip was born in Blue Earth, Minnesota on Jan 1, 1893. 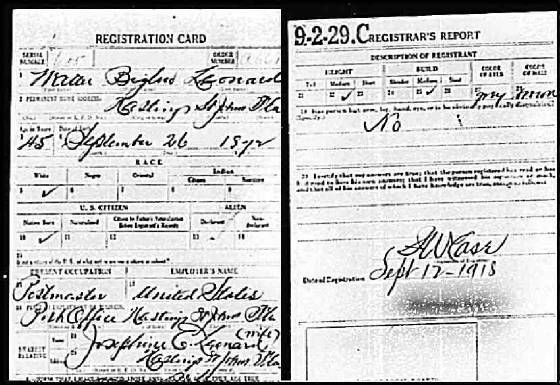 She first appeared in the 1910 Federal Census, Federal Point, FL in the Thomas Evans household as a servant, age 17, born in Minnesota. 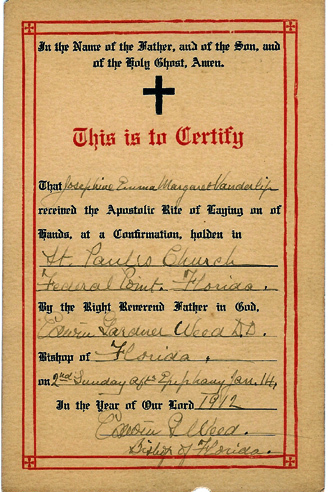 Her Family lived in Welaka, FL and she was living with the Evans due to a conflict with her father, Thomas Vanderlip. Thomas Vanderlip married Lydia Miller of Fox Lake WS. She was born in 1867. She died on Nov. 30, 1904 Thomas was born in Upstate NY in July of 1837 They were married in 1891. He died in March 1915. He was a Veteran of the Civil War in the Union Army. The family had moved to Hastings by the 1920 Federal Census. 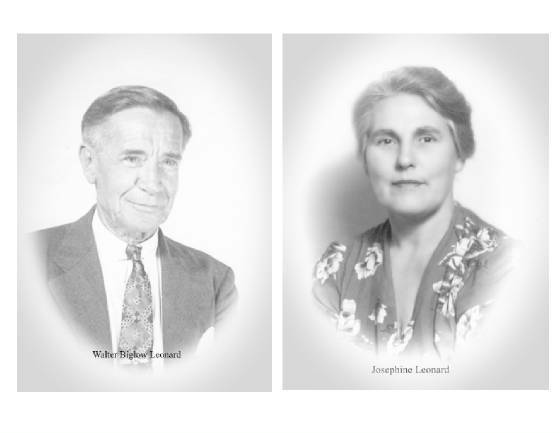 They had 2 children , Elizabeth, age 6, and Walter, Jr. age 4 months. Walter was the Hastings Postmaster.